A number of things have to be done after a loved one passes away. While you are trying to arrange your relative’s burial and memorial service, you also have to begin to deal with the assets – and debts – your loved one left behind. This includes figuring out if he or she left a will, and if so, taking that will through probate. 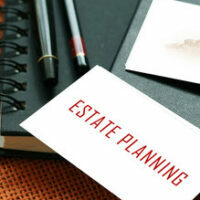 While some very small estates can go through probate relatively smoothly and quickly without a lawyer, many individuals find it is better to work with an experienced West Palm Beach probate attorney when they lose a loved one. If you just lost a loved one or are preparing for a relative’s passing, you may be wondering whether you should find a probate attorney. Determining how a probate lawyer can help you, and whether you will need that type of help, is the best way to figure out whether you should hire an attorney. Identifying or finding a will: Hopefully your loved one was prepared for his or her passing, created a will, and told you where it was. However, if you were caught unprepared, a lawyer can help you search for and identify whether your loved one had a will or not. Taking care of the legal tasks: One of the difficulties of handling the probate process alone is dealing with the administrative tasks, like going to the county clerk’s office and court hearings. By hiring an attorney, you have someone to handle these legal and administrative tasks for you, enabling you to concentrate on your loved one’s burial and family. Ensuring you give beneficiaries proper notice: Once you begin the probate process, you need to notify the potential beneficiaries. This gives a potential heir or beneficiary within the will the opportunity to contest the validity of the will or participate in the proceedings. Defending against a will contest: If one or more beneficiaries argue the will is invalid or void, an attorney can help you defend against these allegations and prove the validity of the will. Identifying personal and commercial assets: One of the main purposes of a personal representative of an estate is to identify the decedent’s assets. An attorney can help you gather information regarding your loved one’s real estate, personal property, savings, investments, retirement accounts, and business assets. The lawyer can also identify assets that are not part of the probate estate and transfer to the next owner outside of the probate process. Only once a full accounting has been accomplished can you deal with creditors and then disperse the estate to the intended beneficiaries. Identifying and notifying potential creditors: If your loved one left behind a great deal of debt, an attorney can help you identify obvious and potential creditors who all need to be satisfied by the estate. Paying the estate’s debts: Your attorney can guide you through the process of when and how to satisfy the estate’s creditors, which may include having to sell off some of the decedent’s assets. Ensuring the estate pays the proper state and federal taxes: An experienced attorney can ensure the taxes for your loved one’s estate are handled properly and paid. If you just lost a loved one or are preparing for the future, contact our West Palm Beach probate attorneys at the Law Offices of Larry E. Bray at 561-571-8970. We can advise you on whether you on whether or not your situation warrants an attorney, and if so, how we can help.